This book features a wonderfully amusing and addictive cast of characters, forming a solid basis for future installments. Despite the second half featuring a few laggy scenes and somewhat uneven dialogue, the story as a whole is solid and worth a visit. This work by author Dana Marie Bell is fun and entertaining, focusing on the small supernatural community of Maggie’s Grove. It begins with the introduction of cursed vampire Dr. Parker Hollis, who has just moved into town to start a new (undead) life. 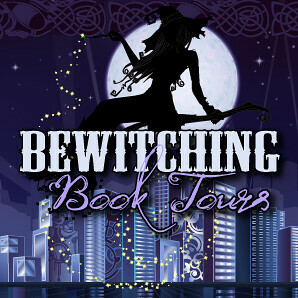 Following the vamp is engaging, as he possesses a witty yet adorably geeky sense of humor. His interactions with others are the basis for a lot of the laughs and strong moments of the story. Likewise, the supporting characters populating the town are lively and amusing (as well as deliciously infuriating at times). Unsurprisingly, the author makes as much use of the townspeople as possible, crafting what is essentially a love story and revenge tale into an ensemble piece of sorts. I would suggest keeping notes (either mental or physical) about the characters introduced. There are quite a few of them, many of whom recur in both name and person. The plotting and pacing of the book was not as endearing, however. I found the first half of the tale to be very easy to engage, compelling through scenes both cheerful and solemn. But the second half seemed a bit uneven at times, punctuated by scenes that dragged and moments of somewhat disparate dialogue. Even so, the pacing scheme did sometimes work nicely. I found that, in certain situations, the abrupt change in characters’ focus lent a sense of reality. After all, real life isn’t one clear-cut, uninterrupted vignette after another. 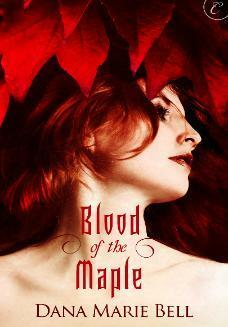 Blood of the Maple is intended to be the first in a set of books focusing on Maggie’s Grove. The story set up some clear dilemmas to be solved in future installments, and I’m happy to say that they all seem quite intriguing.